Preparing a favorite summer dessert, St. Colomba Cream, for the first time in Maine, I didn’t quite know what to use instead of the Sahnequark (cream quark) the recipe requires. Well, it has cream in it, I mused, and so has mascarpone. And that’s what I took. But instead of creating a smooth, velvety dessert, I ended up with a dense and uber-rich vanilla cream. With 30% more fat than it should have had, the saintly Irish gooseberry dessert weighed down our stomach like a stone. Moving from Europe to the US, I had to adjust to several new, or somewhat different, dairy products. I was, also, amazed at all the low, or no-fat choices in the dairy aisle. (Not to mention my confusion about no-fat yogurt consumption on one hand, and obesity rate on the other). Some products seemed to be just the same as their German namesakes. But were they, really? 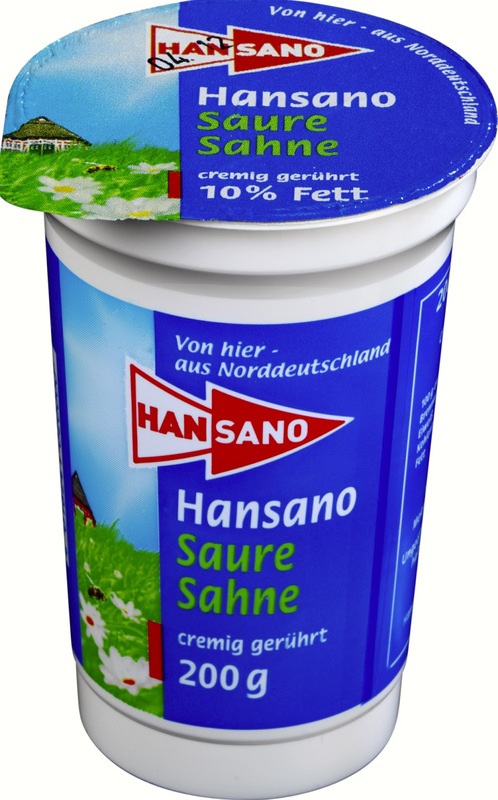 German “saure Sahne” means “sour cream”, but is it like US sour cream? (No, it’s not!) And “Sauerrahm” or “Schmand”? Again, they are “soured cream” – but no sour cream! And the American equivalent to quark? Fortunately, finding the right American substitute for most of these European milk products is not as crucial as it is for flour types. The difference is often the fat content. But in many cases you can exchange a full fat into low-fat dairy to make a leaner version of a recipe, and vice versa. 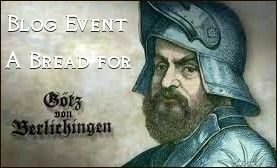 But it is always good to know what you are doing, if you try to find a workable substitute for Schlagsahne, sour cream & Co.
Quark, a classic ingredient in German and Jewish immigrants’ pastries, was replaced by cheaper cream cheese, and, sadly, never managed a comeback. Though there are a few creameries in the US that produce it, you will find quark very rarely in supermarkets, and it is ridiculously expensive. 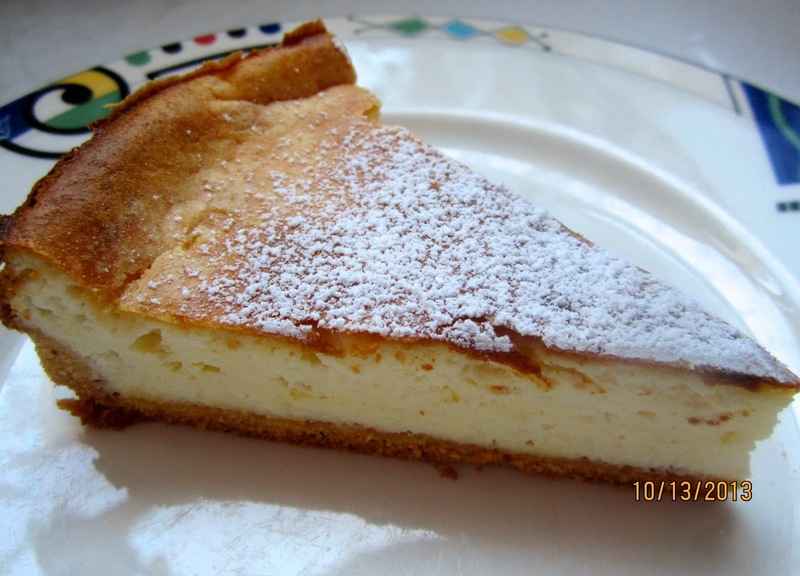 To make Käsekuchen, the traditional German cheesecake, without quark, I had to develop my own version. These are commonly used dairy products in Germany, Austria, Switzerland, and the US, with their fat content. This list is certainly not complete. It might have errors, for those I apologize. But it is the best information I could find. European supermarkets offer less low-fat versions of dairy products than American stores (you will not find a low fat ricotta or mascarpone), but, instead, more higher fat cream options (Sahnejoghurt, Sahnequark), and I didn’t include any no-fat products in my list – no fat is no fat! 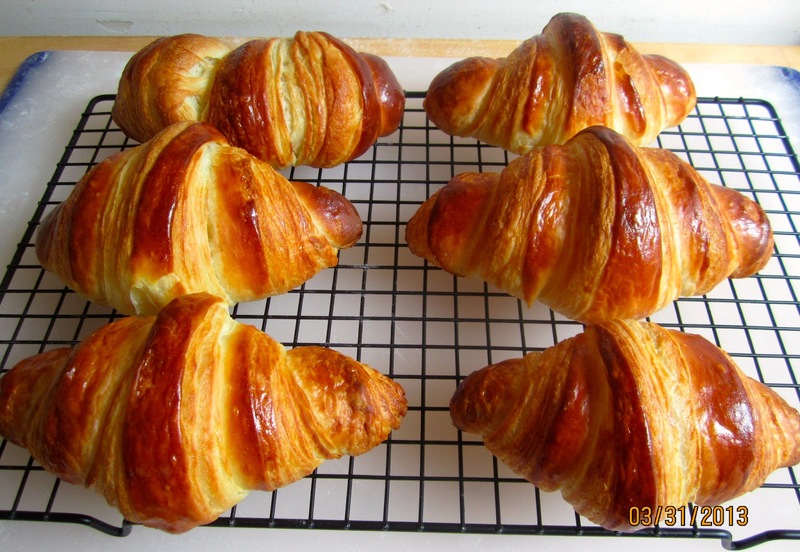 Some American dairy products differ only slightly from their European counterparts, like butter – US: 80% fat, European: 82% – these two percent are only relevant for pastries with laminated dough, like croissants. Some differ slightly in their taste: yogurt and buttermilk in Europe are a bit more acidic than in the US. But you can safely exchange dairy products with a similar consistency, acidity, and a fat content that’s not too far apart. For Sahnejoghurt: use Greek yogurt (full fat) or sour cream. 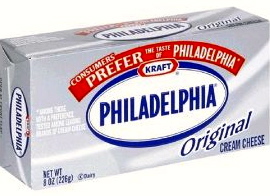 For Schmand/Sauerrahm: use sour cream or crème fraîche. 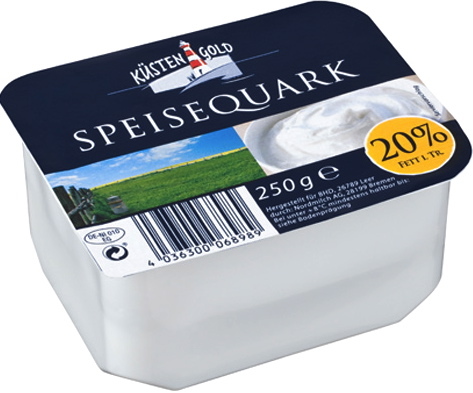 With quark (often marketed as “Speisequark”) it is a bit of a challenge. Like Greek yogurt it has been strained of most of its whey. 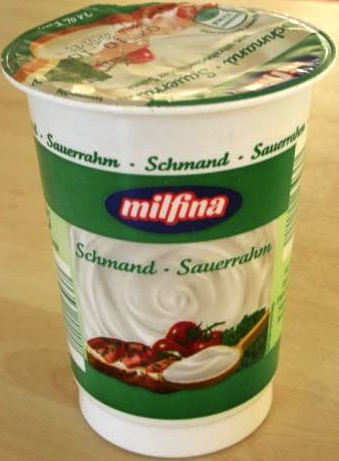 Sahnequark (40%) : use a mixture of cream cheese and crème fraiche or sour cream. Or blend half mascarpone/ half cottage cheese in a blender. 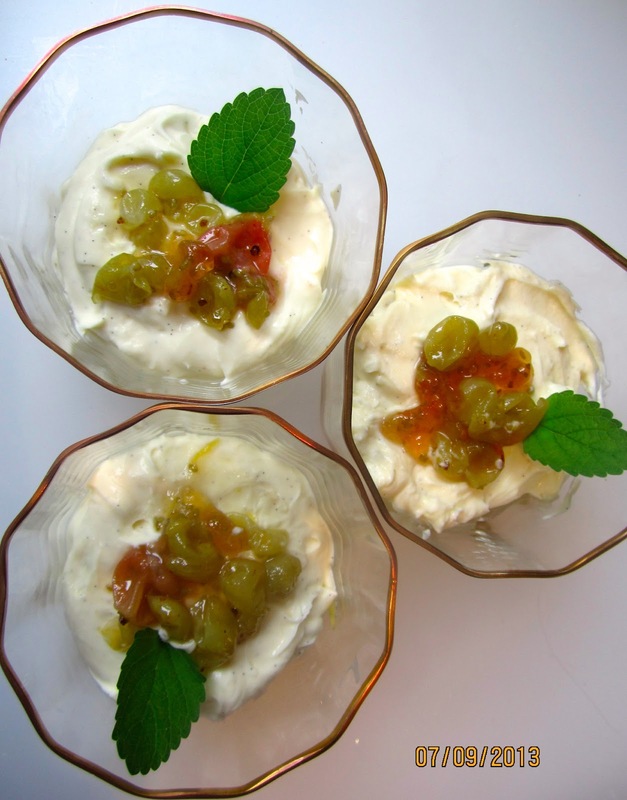 *) I do not find ricotta a good substitute, compared with tangy quark it is too bland, and its consistency too gritty. Thank you for this- as it works both ways, I suppose… and I often find inspiration in american recipes- now I know about half& half…. Have you tried to make quark by youself? I can look something up, if you're interested. Bakers without Borders! It is so nice that you can find so many different recipes and can communicate with people from all over the world that share your passion. Yes, I made a kind of quark from buttermilk, it's not bad, but rather mild. I have a recipe for the real thing, with rennet etc. maybe I'll try that one day. Paula, thank you, and thanks for visiting. Yes, I remember your name from TFL, a great source for bread bakers. I want to try out using natural rennet from fig trees that i have in abundance nearby …. i was reading about it and sound like it might work. Thank you for this article! Though for some reason i still find myself a little perplexed as to what just Sahne is. I made a creamy soup (milk and flour, no cream) and he who is also German referred to it as Sahne…. apart from the noun meaning of sahne… i.e . Cream… does it also just mean creamy? nice to read another bakers blog… i have just started mine 🙂 let me know what you think! Hi, Annabawiyya, the term “Sahne” in general means just cream, without any specification, whether sweet or sour, liquid or whipped. “Sahne-Sauce” would be a creamy sauce, usually containing cream, any kind. But if it is thick and smooth you can call it “sahnig”, even though it has only milk in it. Good luck with the natural rennet, interesting, I never heard about it. And please, let me know how it works out.